World-wide, there are multiple days and weeks with different names and dates. February 28/29 – last Friday of February (International Stand Up to Bullying Day) | More..
March 15, 2019 – Third Friday in March – National Day of Action (Australia) | More..
October 7, 2019 – First Monday in October – World Day of Bullying Prevention | More.. The original event (May 4) was organized by David Shepherd and Travis Price of Berwick, Nova Scotia, who in 2007 bought and distributed 50 pink shirts after male ninth grade student Charles Mcneil was bullied for wearing a pink shirt during the first day of school. In Nova Scotia, Nova Scotia Premier Rodney MacDonald proclaimed the second Thursday of September “Stand Up Against Bullying Day” in recognition of these events. In 2008, the then Premier of British Columbia, Gordon Campbell proclaimed February 27 to be the provincial anti-bullying day. It was then celebrated on February 25 in 2009. In 2009, Boys and Girls Clubs worked on pink T-shirts that say “Bullying Stops Here.” and “Pink Shirt Day” for Anti-Bullying Day. 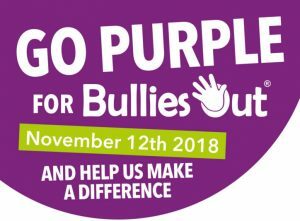 The day we wear a pink, blue or purple shirt to symbolise a stand against bullying. Some use the word “celebrate” which we believe is inappropriate. *Ban – How does anyone “ban” bullying? Stop, call for an end, anti-bully calls, protests, movements. In 2012, the United Nations declared the official day to be May 4, recognised by many countries worldwide, including Australia, France, Lebanon, the United Kingdom and the United States.